Downhill winner 2003, Super-G winner 2004: Daron Rahlves and the Streif – a very special love affair. The former ski racer from the USA was considered one of the best skiers in the World Cup circuit in the 2000s. A premise that the 45-year-old impressively proved at the Hahnenkamm Races: between 2001 and 2006, Rahlves landed on the Kitzbühel podium no less than seven times in both the Downhill and Super-G – a sensational quota. 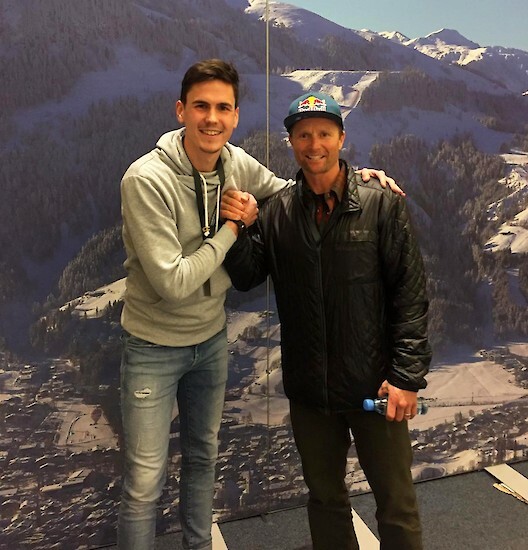 We talked to the World Champion of 2001 (Super-G-Gold in St. Anton) about his special relationship with Hahnenkamm, important factors for winning at Kitzbühel and a possible ski-cross race on the Streif. Hello Daron! Are you already excited about watching the 79th Hahnenkamm Races here in Kitzbühel? Have you already been on the track? What is it that makes the Streif so special for you? If you see the track tomorrow, do get the feeling that you would like to race in the Downhill again? Who is your favourite to win this year’s Downhill? You have already won the Downhill once and the Super-G once. Which victory was more important for you? As a double Hahnenkamm Champion. You must know what it takes to win on the Streif? On another subject: after ending your active racing career, you switched to ski-cross. Would you say there is the potential to host a ski cross race on the Streif one day?